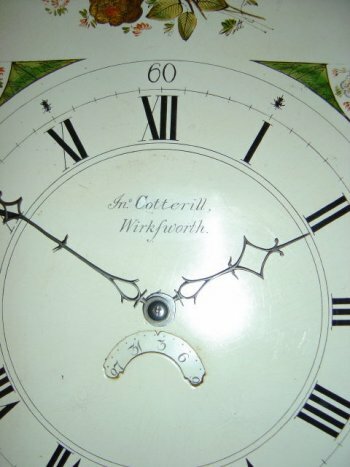 Another longcase clock made by John Cotterill of Wirksworth. 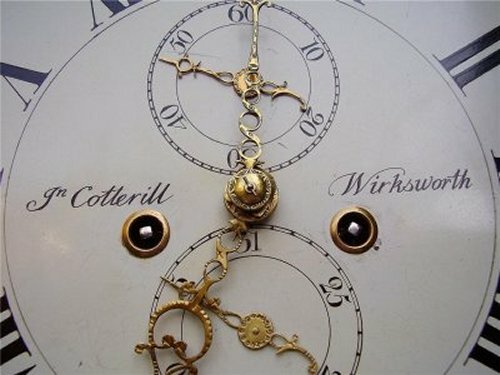 "Clockmakers & Watchmakers of Derbyshire"
Wirksworth, as a watch and clockmaker. In 1807 he married Elizabeth Griffin. Also see Ince's Pedigrees page 026d. must stand in place of a cabinet card. 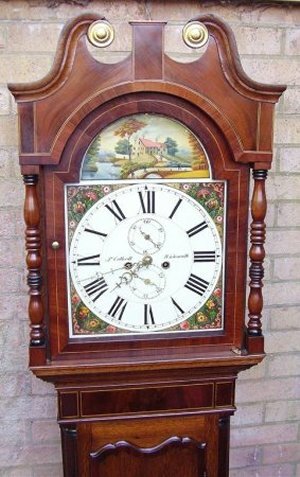 An attractive longcase made by John Cotterill of Wirksworth. 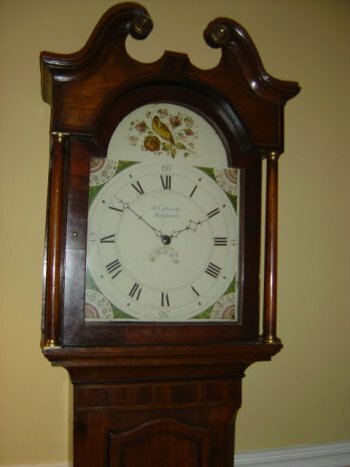 Cotterill was working 1805-1848 and this clock was made around 1835-1840.
design. 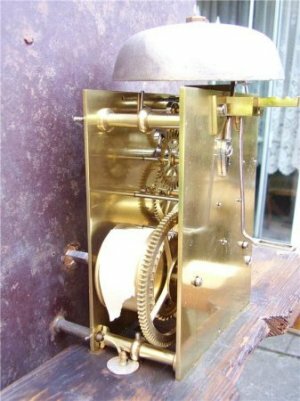 The clock strikes the hours crisply on its original bell. Inside the original nail for holding the winding key is still in place. The dial with the name and abode of the maker. The dial, hood, and corner painting. The clockwork drive behind the face. The painted arch above the dial. Is it generic or a real place?